Select Plumbing and Heating does a variety of work with water heaters at commercial properties all across Toronto and the GTA. 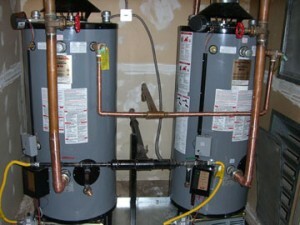 Our water heater repair and installation services in Mississauga are second to none. Our many years of experience and dedication to providing quality work is the reason why clients choose us first. From the installation of both gas and electric water heaters and indirect water heaters to fixing leaking water heaters and disposing of old water heaters for our clients, we cover everything water heater related. Find out why our expert plumbers are trusted all over the GTA for their expertise with water heaters by calling us at 1 888 501 5501 or 905 501 5501. We have helped property management companies, property owners, manufacturing plants, hospitals, retirement residences and more.